Read on to learn more about your version of The Gardens at The Open Studio. If you would like to arrange a group tour/picnic, please contact our Administrator. Sam is a Florida native, having grown up in Englewood. After graduating from Lemon Bay High School, he received a degree in Recording Engineering from Full Sail University in Orlando. After 15 years in the Orlando music scene, marriage to the love of his life Kelly and the births of their two boys, Sam's focus changed dramatically. Until the birth of their first child, Sam had never given healthy living any serious consideration. But now, responsible for the life of a newborn, everything changed, and the epiphanies rolled in one after another. Sam realized he had no clue where our food comes from, how it's made, what really is good food versus what we are told. After much research, Sam concluded that real quality food is really hard to come by. The answer was to connect with nature, and learn how to grow it yourself. In 2012, Sam went to work for his long-time friend Gus Ramage, who had recently started My Yard Farm, a business installing edible landscaping and culinary gardens, and growing specialty produce for local restaurants. 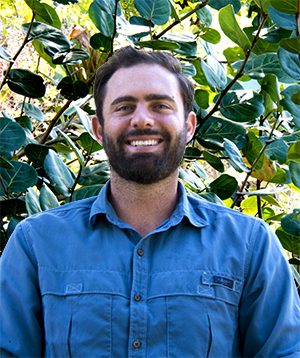 As the installations manager, Sam worked alongside local permaculture guru, Marabou Thomas, building and maintaining edible growing spaces for homeowners through-out Orlando. Under Marabou's mentorship, Sam learned plant propagation, wild foraging skills, permaculture concepts, and built a vast knowledge of many amazing edible and useful plants that can be utilized for food self-sufficiency in our local biome. Eventually, My Yard Farm broke off into Bumper Crop Orlando, where they focused their efforts on managing several farm facilities, including maintaining the Whisper Creek Farm at the JW Marriott Resort, the chef's garden at the Primo restaurant, the culinary gardens at World Center Marriott, and the chef's garden at Crimson Tavern in the Orlando Airport Marriott. 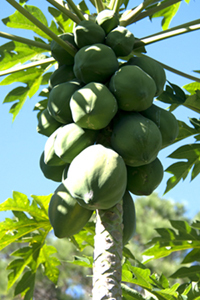 They worked closely with the chefs to grow specialty vegetable and fruit crops that would be featured in their restaurants. Despite the success of Bumper Crop, Sam's yearning to return to Englewood to raise his and Kelly's kids and be with their respective families field the difficult decision to leave an awesome job and start anew. This major change spawned the creation of Englewood Homegrown. Love to garden but don't have the space? Why not rent a garden bed from The Open Studio? 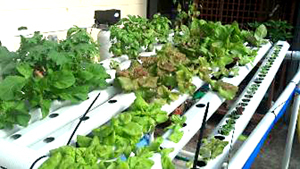 Raised bed gardens are available to those who would like to have their own garden to tend and harvest what they choose. Garden rental is $100.00 for the year. We will provide the initial composted soil and timed irrigation daily. All gardens must be kept fully organic; pesticides or fertilizers that are not certified organic are not allowed on The Open Studio site. 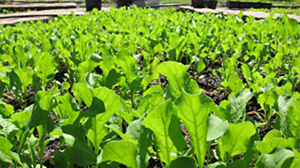 We expect your garden to be cared for, weeded, and harvested on a timely basis. There is no refund if you decide you don't care for gardening. for the associated fees and arrangements. Beds are rented on a first come, first served basis. Sit, Relax, Nibble, and Enjoy! 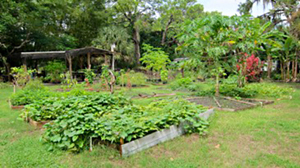 The landscaping and gardens at The Open Studio are an integral part of our mission to educate and promote the concepts of permaculture, sustainability and self-sufficiency in our own backyards. 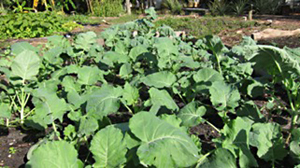 Our vegetable gardens are examples of the foods that can be successfully grown in the challenging Florida climate. Raised beds, different examples of watering systems, and the permaculture concepts of planning a landscape that supports and protects itself are all part of the continuing development of our site. We include classes in organic gardening, harvesting and preparing the foods we grow, herbs for both culinary and medicinal uses, composting, vermiculture, planning and building your own permanent landscape. The permanent landscape ofThe Open Studio, trees, bushes, perennial plants, and ground covers anchor the environment. The vegetable gardens, annual plantings, small water features and potted accents are added around these permanent features. Developing a permanent landscape can take years of installation and rearranging until it all "works". Creating that environment can be a lifelong pleasure and challenge. At The Open Studio we show examples of many ways to achieve a healthy, beautiful and productive back yard. Annual vegetable gardens are an important part of our mission. Education about and examples of native plantings, edible landscape plants, and beautiful accent plants are also included. The Open Studio supports both reducing our carbon footprint upon the earth and sustainable practices that protect and rebuild our natural environment. Visit The Gardens today. Sit, relax, nibble, and enjoy the surroundings of Englewood Florida's neighborhood destination. 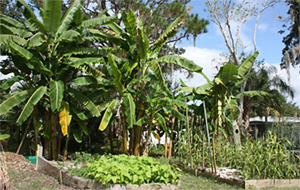 Whether you want to quickly get refreshed or learn about growing edible plants in Southwest Florida, let this be your favorite stop.